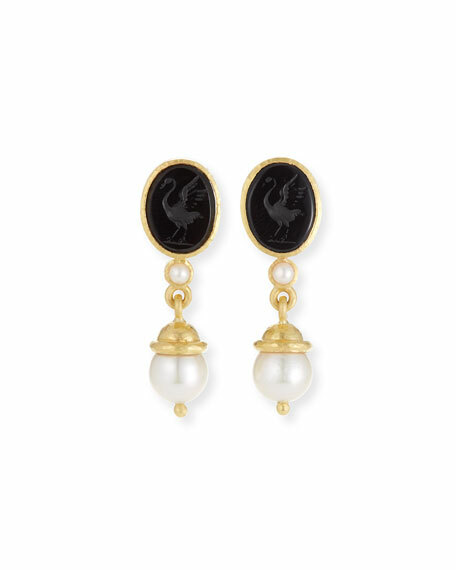 Crane intaglio and pearl earrings by Elizabeth Locke. Smooth black Venetian glass intaglio oval posts. Naturally white Akoya cultured pearl dangles. Pearl dimensions: approx. 3mm and 8.5mm.